Last year, the eastern cougar that once roamed the northeast, was declared extinct. Now, in Florida, the last remaining 200 adult Florida panthers, could join their eastern relatives if a lucrative development project is approved. A 45,000-acre land grab is being rushed through by landowners and developers who want to turn pristine panther roaming and hunting habitat into a bustling urban sprawl. If that happens — the panther is doomed. But if you ask the coalition of 11 Florida landowners hoping to get approval for this behemoth project, they will tell you there's nothing to worry about. Unfortunately, that isn't the case. Apart from bulldozing these essential lands, the development will create new cities, bring hundreds of thousands of new residents and create a network of roadways. All of these things pose a serious threat to the species. Already, dozens of panthers are hit by cars each year. Add the threat of more development and you have an even more dire prognosis for the survival of this amazing big cat. The one thing stopping the development is the U.S. Fish and Wildlife Service (FWS) which must give explicit approval to projects when endangered animals could be negatively affected. Under the current administration, we have seen the FWS favor big business over the flora and fauna they are supposed to protect. But it cannot happen again, not in this case. 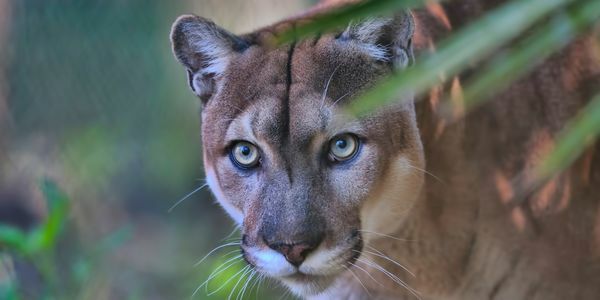 Please sign this important petition to prioritize the survival of the Florida panther over this malicious project. Please ask FWS to say NO to the Collier County development.